Exact your revenge in the shadows of a crumbling dynasty. China, 1526: the twilight of the Ming dynasty. 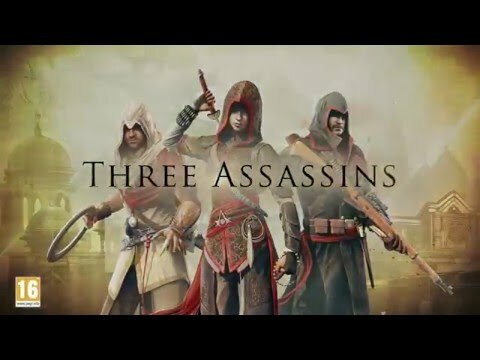 Newly trained by the legendary Ezio Auditore, Assassin Shao Jun returns to her homeland, hell-bent on resurrecting the once-great Chinese Brotherhood. Lose yourself in the thrill of the hunt as you guide Shao Jun through a world uniquely realised in traditional brush paintings. Stalk your prey and stealth your way to victory, fooling enemies with whistles and clever disguises - or utilise Jun’s melee arsenal to take out opponents with close-combat martial arts, a powerful Kian sword and a hidden shoe blade. Discover betrayal and loss in British-occupied India and question your allegiances on the eve of the Russian Revolution in the complete Assassin's Creed Chronicles trilogy. Buy Assassin’s Creed Chronicles: China on PS4.